Different types of innovations require different marketing strategies. Incremental and breakthrough innovations, particularly, require different choices for marketing strategies, interactions between marketing and R&D, market research, advertising, and pricing. The five types of innovation occur at various points in the value chain and in different parts of the organization. …the processes firms use to manage incremental innovation are not only not applicable to but may also be detrimental to the management of radical innovation. The firm’s challenge is to manage both types of innovation simultaneously. Incremental versus (breakthrough) radical innovation: Incremental innovations are continuations of or minor improvements to existing products and services which are built with existing technology and processes. Breakthrough innovations create new markets by introducing entirely new offerings that are based on changes to fundamental production methods. Product versus process innovation: New products provide functional improvements, enhanced ease of use, or higher performance and are delivered as the final output of an organization’s efforts. New products can embody either incremental or breakthrough innovation. New processes result in increased efficiency or effectiveness in the techniques used for producing a firm’s goods. New processes can also encompass the discovery of new scientific or fabrication processes. One company’s product innovation can turn into another company’s process innovation as in the case of manufacturing tools produced by one company to be used in the factory of a different company. Architectural versus component innovation: Architectural innovation is considered to work at the platform level (the way in which components of a larger system interact, can be configured and add value). Architectural innovation can frequently be radical given its impact to a broader ecosystem. Conversely, component innovation builds new components or sub-parts of existing technology platforms. Sustaining versus disruptive innovation: This is the domain of Clayton Christensen’s Innovator’s Dilemma. Sustaining innovations target high end, demanding customers with expensive and/or high margin solutions that offer improved performance and features. Low-end disruptive innovation offers a “good enough” solution for low-end customers who cannot afford, or do not need, the high end solutions currently available. Eventually, low-end disruptions move up-market and disrupt the business models of the companies that provide those solutions. New-market disruptions convert non-customers into new customers and create new markets through delivery of new technologies. Organizational innovation: Organizational innovation spans the creation of new strategies, new business models, and business practices. Business strategy innovations can include changes to financial management methods or an emphasis on social innovation. Changes to promotion methods, pricing, supply chain, or pricing are classified as marketing innovations. Innovation can occur in various stages of the supply chain and not be visible to the end user. For example, extraction and processing of fuels may change dramatically, but the experience at the pump or at the thermostat does not. The right marketing strategy to choose is contingent on the type of innovation a company creates. Specifically, the type of interaction between the research and development group and the marketing team depends on the type of innovation being brought to market. In supply-driven markets, technology superiority is critical to success so a strong research & development group is required. The type of market research tools that are effective also changes–for breakthrough innovations, traditional market research will not likely be useful. The role of advertising is frequently more important in incremental markets where offerings are well understood and audiences are defined. Finally, entirely new products and services may be priced at a premium because they offer new value that is not available elsewhere. In incremental innovation, found often in mature markets, the marketing function becomes more critical because the customer base and their needs are typically more well known. Because of their knowledge of and experience with the product and its benefits, customers can play an active role in product development. Standard market research tools can be used as marketing takes the lead role in defining the offer. Likewise, standard management controls and formal planning can be effective for this type of innovation. Advertising can be effectively used to stimulate demand in targeted market segments and pricing strategies need to take the competitive landscape into account. producers of a mature product who have achieved high volume in their production processes have a strong incentive to make only incremental innovations that leverage their investments in existing technological platforms, potentially making them less open to radical change and more vulnerable to obsolescence. Overall, incremental innovation extends existing products and processes in markets where product attributes are well defined. Competitive advantage is acquired through lower production costs and products are frequently developed in direct response to competitive dynamics. The book classifies this type of innovation as “demand-side” or “customer pull”, indicating that much of the impetus for change and improvement comes from the buyer. Competitive advantage for a breakthrough technology is typically found in the superior functional performance that the new innovation offers over existing methods or products…typically…a leap to a new S-shaped curve. Because radical innovation is developed by an R&D group that often hasn’t specifically thought about a particular commercial market application during the development process, the technology is pushed into the market to see where it might best be utilized. These innovations are created independently of the vision of the uses they might serve. An over-reliance on incremental innovation can diminish “the focus and capacity of companies to engage in truly breakthrough innovation” so both approaches must be managed thoughtfully. The authors caution that “marketers should not confuse the nature of the innovation with the potential payoff and wrongly assume that breakthrough innovations will have a large payoff.” Similarly, spreadsheets and traditional financial tools can eliminate a company’s ability to innovate. Geoff Tuff from the Monitor Group discusses Doblin’s Ten Types of Innovation for classifying innovations based on a value chain view (finance, process, offering, and delivery). 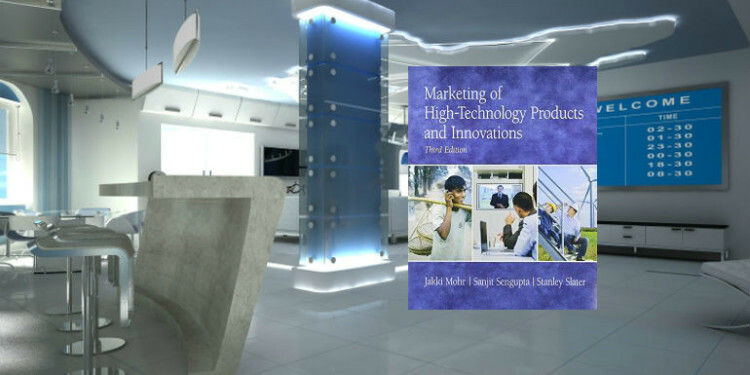 This is similar to the framework presented in Marketing of High-Technology Products and Innovations and covers many of the same types of innovation avenues. Although product performance innovation is the most popular type of innovation, successful companies allocate their innovation efforts throughout their value chain. Moreover, only 4% of the product innovations studied returned their initial investment. When this finding is taken into account and product innovations are compared to the other nine types by cumulative return on capital, business model and customer experience innovation turn out to be the most successful. Tuff calls these two types of innovation “integrative” because he says, “it is almost impossible to implement business model or customer experience innovation without impacting multiple other types of innovation along the way.” To effectively manage these different types of innovation, the guidelines from Marketing of High-Technology Products and Innovations are a good complement.